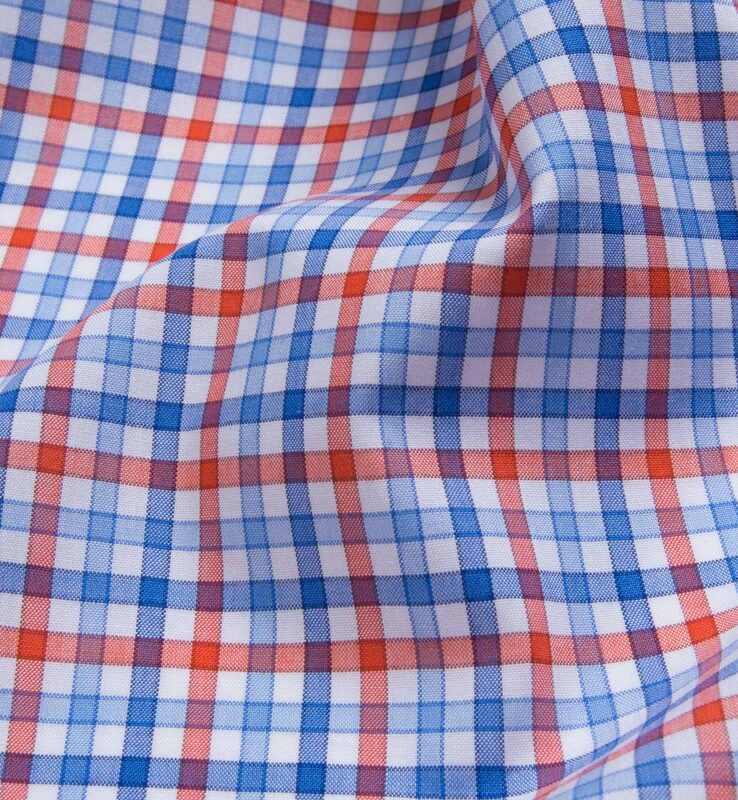 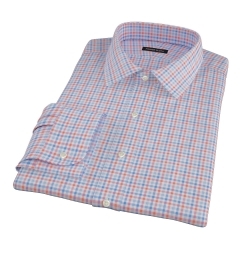 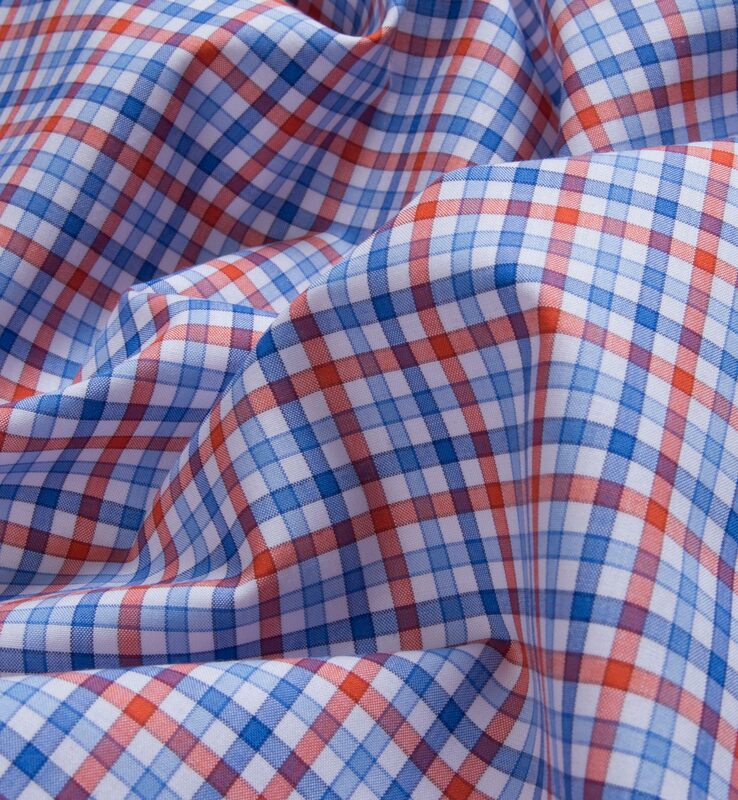 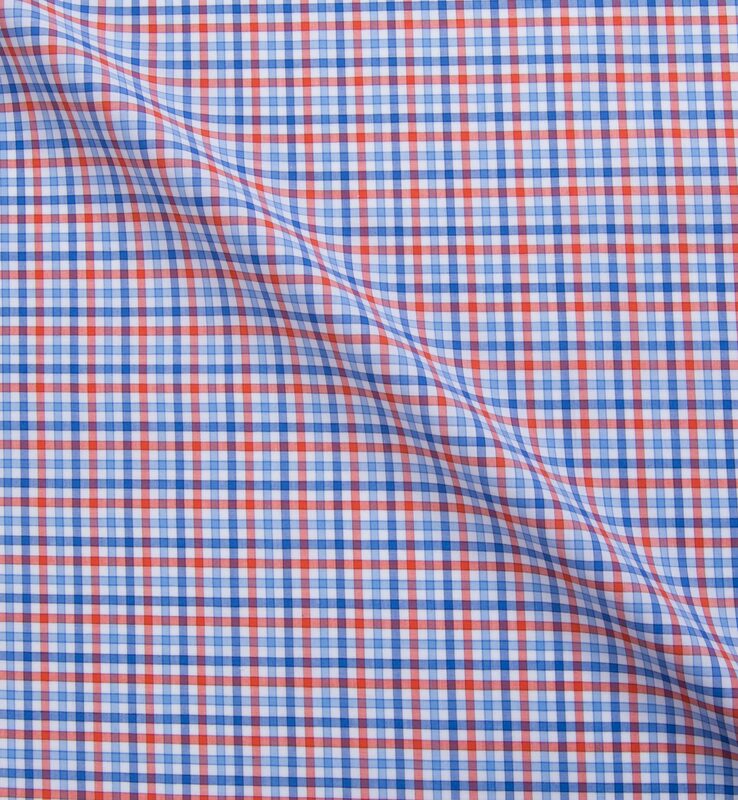 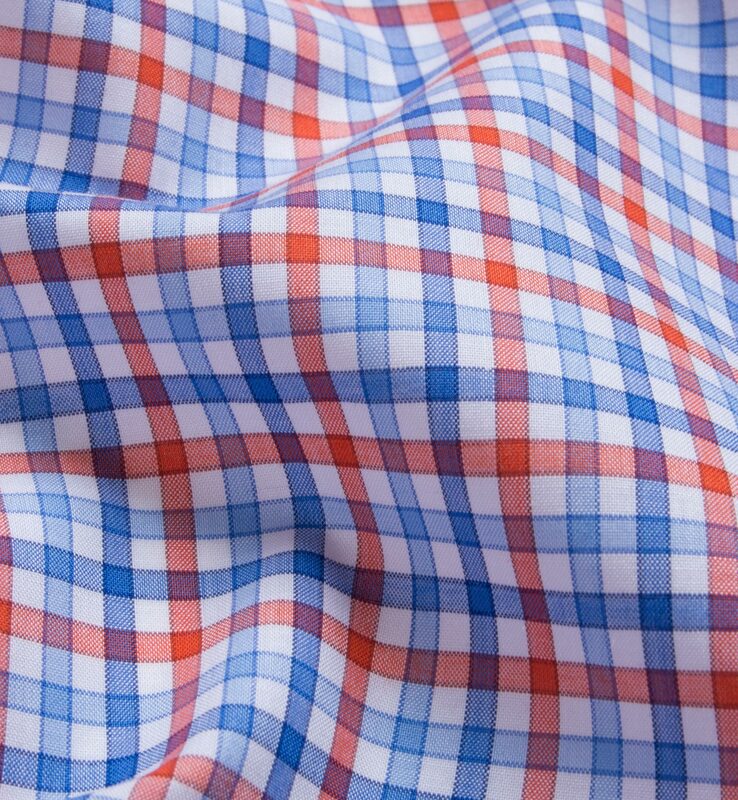 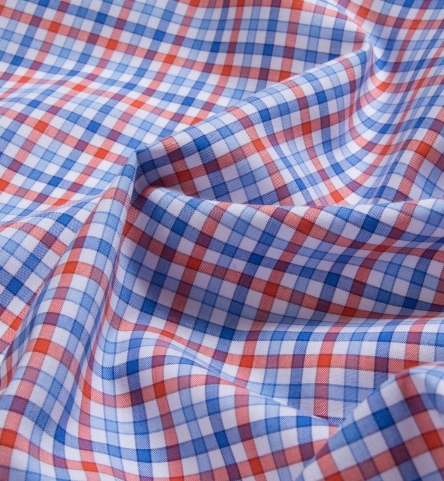 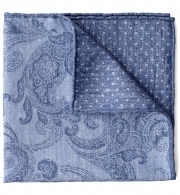 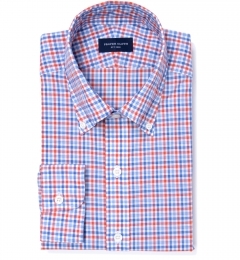 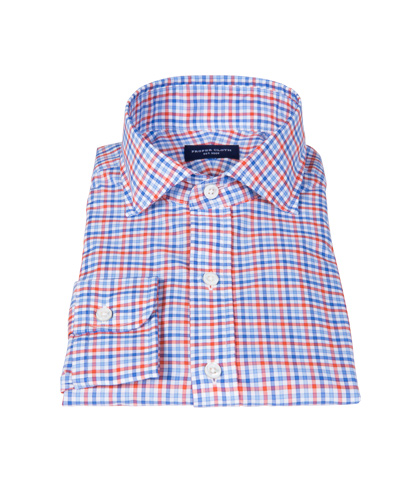 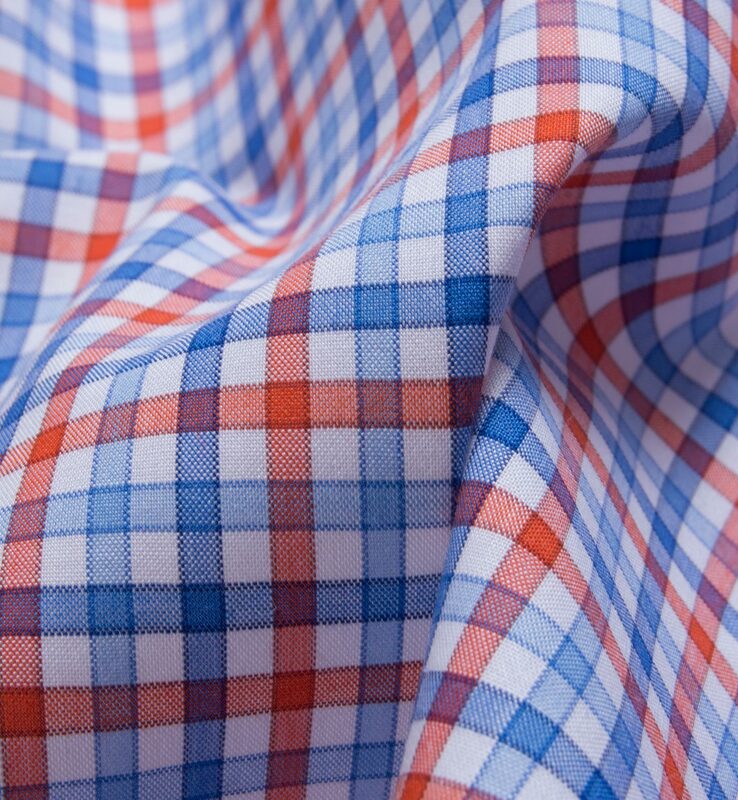 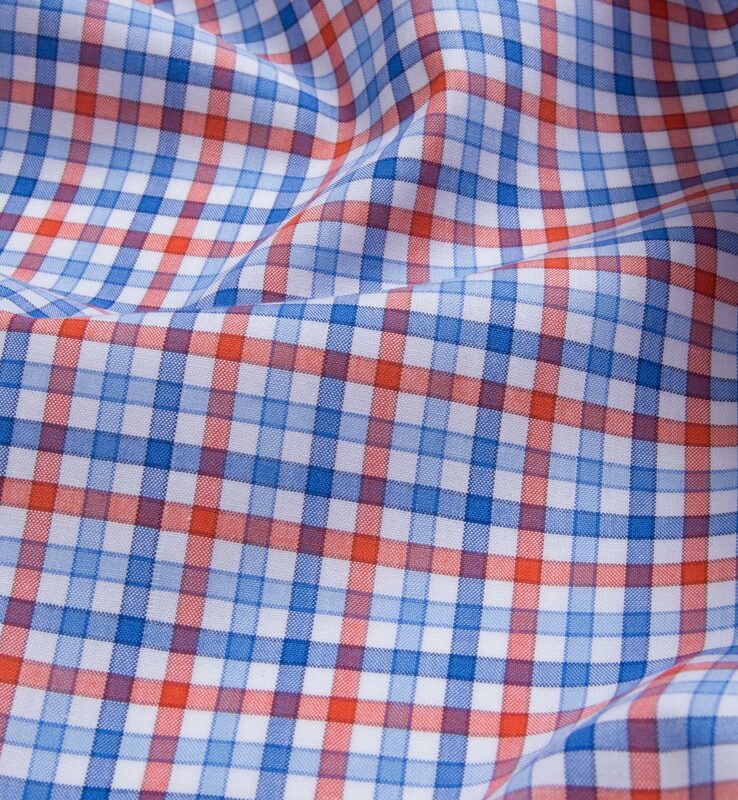 We love the fun, lively color tones of the orange and blue in this Italian broadcloth. 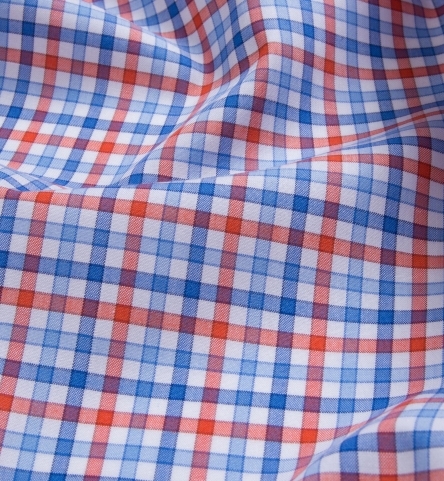 The border check design gives it a bolder look that can still work easily under a jacket. 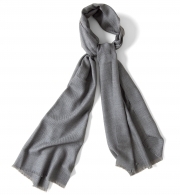 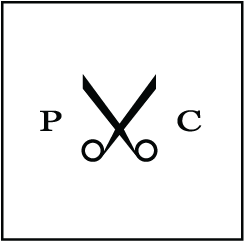 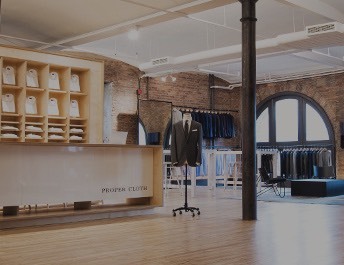 And when you're dealing with Thomas Mason fabrics, you know you're getting the good stuff. 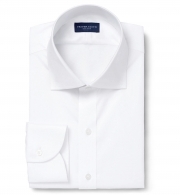 With over 200+ years of experience, they're the best of the best. This one is woven in a light, airy 60s plainweave. While it's a great shirt for summer bbq's, we love the way it looks dressed up with a navy jacket and knit tie.